At the 2018 BOMA International’s MOB/Healthcare Real Estate Conference last month in Houston, TX, Ethan Brosowsky of The Advisory Board provided a comprehensive presentation on the opportunities and challenges health systems are facing when making decisions for their ambulatory networks. The shift from inpatient care to outpatient care is well underway and health systems need to develop a proactive strategy for outpatient care with involvement from key stakeholders of the system. Brosowsky related the ambulatory network to a constellation of stars. The healthcare ecosystem is similar to a constellation as it needs to be interconnected and drive seamless integration through the health systems footprint in order for patients to receive the right care at the right cost in the optimal location. As Health Systems look to expand their ambulatory network, they face capital challenges whether they look to expand through M&A or grow their market presence organically. Brosowsky outlined the opportunities and challenges for the 5 different types of ambulatory facilities health systems might be considering: Medical Office Buildings, Urgent Care Centers, Free Standing Emergency Departments, Micro-Hospitals and Ambulatory Surgery Centers. For more information on portfolio strategy, download Global Healthcare Services’ approach and methodology on Portfolio Strategy for Health Systems Whitepaper. Ever since humans first looked to the night sky, they have found and used patterns, or constellations, among the stars to help them survive. 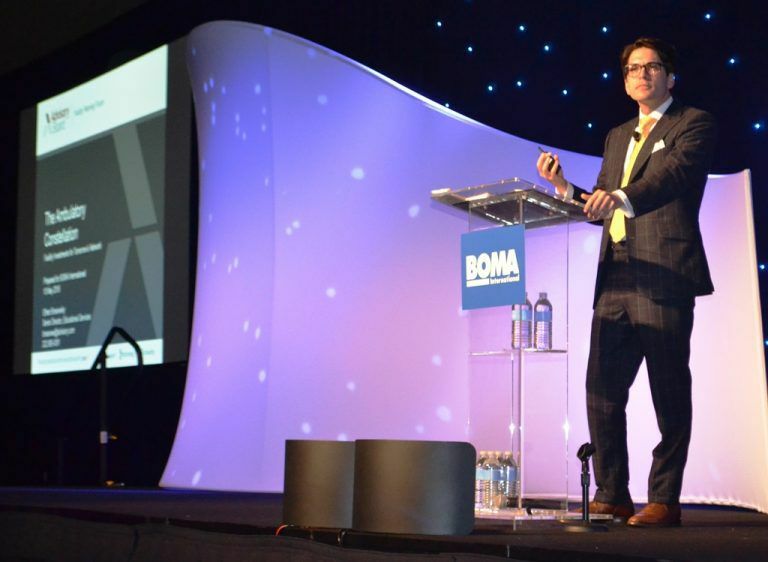 “Individual stars are beautiful, and are bright, but are not really useful to us as humans,” Ethan Brosowsky, senior director of educational services with The Advisory Board Company, told a keynote crowd during BOMA International’s 2018 Medical Office Building + Healthcare Real Estate Conference May 9-11 in Houston… Read full article here.